Cara Smith Stirn passed away peacefully on Wednesday, December 13th at the age of 90. She was born on February 23, 1927 in Cleveland, Ohio to Eleanor and Kelvin Smith. Cara attended Hathaway Brown School followed by Bennett Junior College in Millbrook, NY and Parsons School of Design in New York City. Her time at Parsons was very special as it was when she developed her lifelong passion for watercolor painting. In 1948, Cara married Howard F. Stirn of Staten Island, NY. The couple first settled in Yardley, Pennsylvania where Howard worked as an engineer. In 1955 they moved to Cleveland where she and Howard raised four children. Cara had many hobbies including her amazing cooking, horseback riding, nature walks, bicycle riding and most importantly, her painting. She had a unique watercolor style that earned many awards over the years. She remained an active member of the Ohio Watercolor Society, The National Watercolor Society, and the National Collage Society. Her paintings were displayed frequently in art shows, sometimes in concert with Howard's photographs. Cara was also involved in many of Cleveland's most notable non-profits. 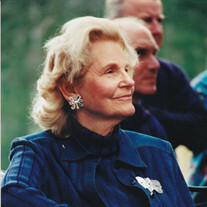 Some of her roles included: former Trustee of the Cleveland Museum of Natural History; former Trustee of the Cleveland Institute of Art; former member of the Advisory Committee of the Cleveland Museum of Art; former board member of the Cleveland Playhouse, the Shaker Lakes Regional Nature Center and the Girl Scout Council. In the early 1970s, Cara and Howard became owners of their beloved R Lazy S Ranch in Jackson Hole, Wyoming. They spent the next forty summers entertaining up to forty-five guests per week. It was her favorite place and guests will always remember her as a charismatic hostess. In addition to their Pepper Pike OH residence, Cara and Howard had a winter house at Sanibel Island, Florida. Cara is survived by her four children, Bradley A. Stirn of Woodside CA, Lucia Stirn Spotte of Longboat Key FL, Kelvin H. Stirn of Teton Village WY, and Ellen Stirn Mavec of Hunting Valley OH; seven grandchildren; and a great-grandchild. Loving wife of the late Howard F. Stirn and dear sister of the late Lucia Smith Nash. Cara will be buried at Cleveland's Lake View Cemetery next to her beloved late husband and her parents. In lieu of flowers, please send donations in her honor to The Cleveland Museum of Natural History, 1 Wade Oval Drive, Cleveland, OH 44106 or the Cleveland Institute of Art, 11610 Euclid Ave, Cleveland, OH 44106. A Memorial Service will be held at The Chagrin Valley Hunt Club, 7620 Old Mill Road, Gates Mills, OH 44040 on Saturday, May 5 at 4 PM.